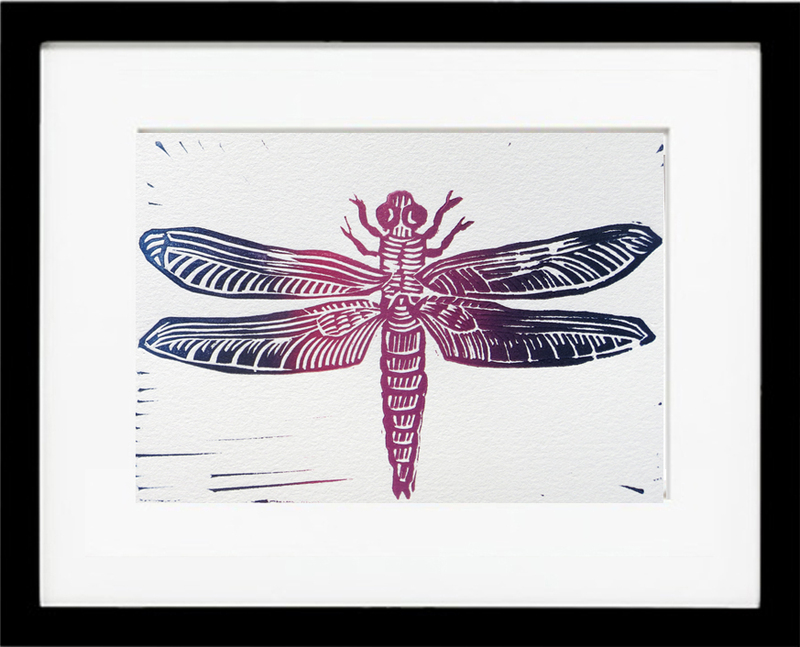 From the world of magic at speeds of up to 30mph comes the dragonfly. This 6″ x 4″ image on 10″ x 8″ Rives BFK, in an edition of 10 is now on Etsy. 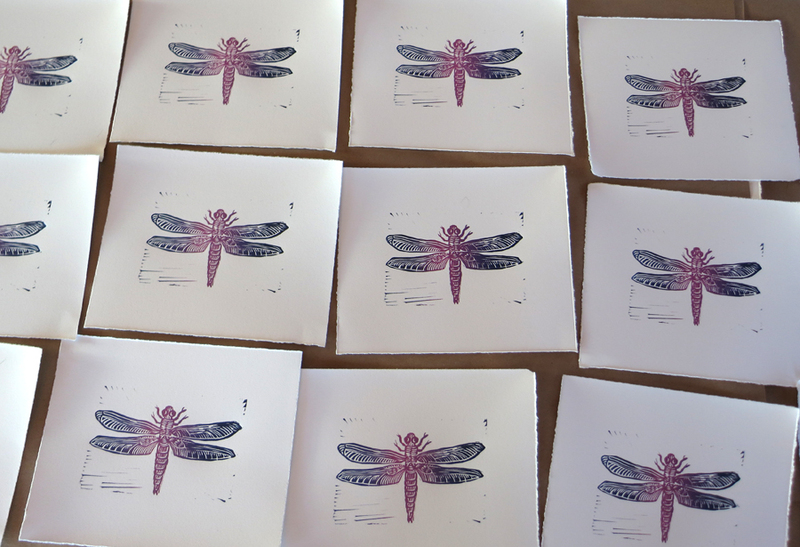 I have a whole table of 10 Dragonflys drying. Printed in a rainbow roll of pink to magenta to blue it looked amazing next to the blue/grey elephants I printed yesterday. It is hard to believe that so far 27 prints in 27 days, along with a few bonus prints. 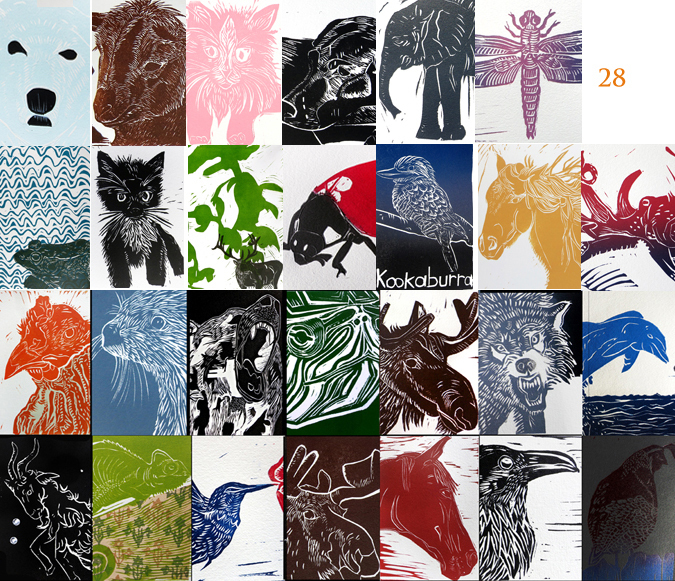 Three days to go to complete 30 prints in 30 days. But the fun is just starting here at Stonetrigger Press. I have a big announcement to make on the 30th as to where this 30 prints in 30 days project is headed. And it is very exciting! 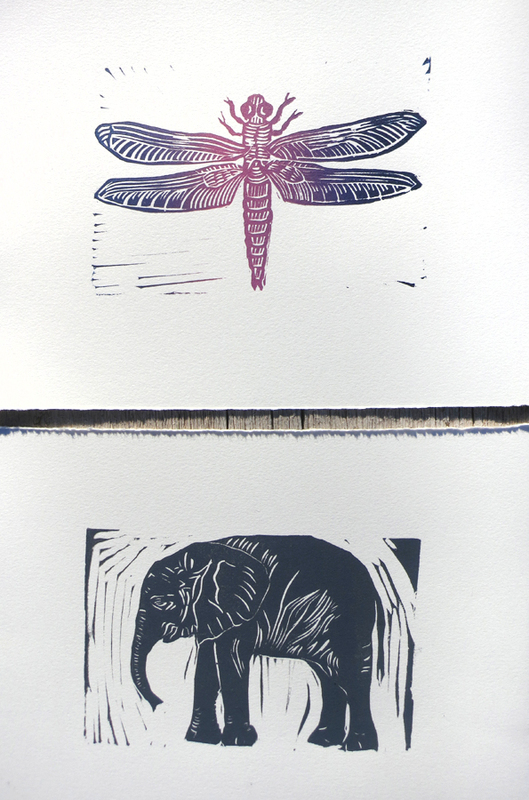 ← The Royal Elephant, print #26 of 30.